Make our formal style Hiland Entertainment Center with Electric Fireplace the centerpiece of any room to impress and delight. 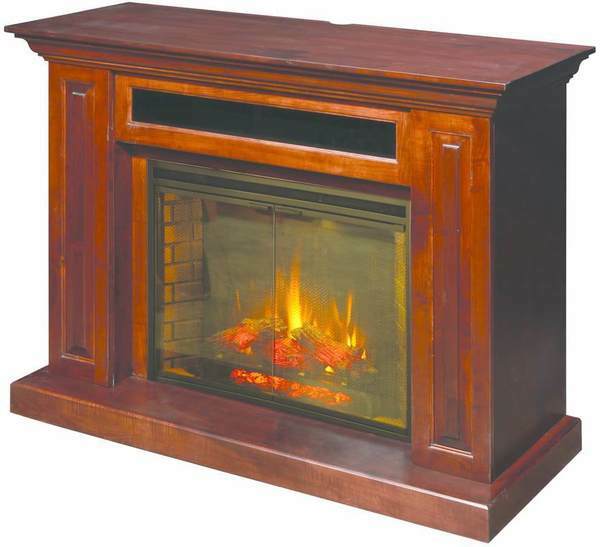 This solid wood electric fireplace features lovely paneled sides and a heater insert with faux flames that is fully operational via remote control or manually. Hang your television above the mantel to enjoy movie nights, game nights, and company while basking in the cozy glow and warmth exuded by the heater insert. This piece can be custom-made in your choice of wood and finish from a variety of options. We bought the Amish Hiland Fireplace with Entertainment Center. It is an outstanding piece of workmanship, and we absolutely love the Tiger Eye Maple. We have it going all day long, every day! Love it!